PAPA KEHTE HAIN PAPPU BADA NAAM KAREGA ! Once Rahul Gandhi had been seen as the future of a youthful India & his 129 year old Indian National Congress (INC) Party.Soon,he led his party to disaster at the hustings and mutated from the biggest hope to the biggest dope -aka Pappu! To compound issues, he was found sleeping through (oh so blissfully) a heated debate being led by his Party men on the Railway Budget to corner the Narendra Modi led NDA government. Wwy would Rahul Gandhi ,the designated “Gladiator” of the Congress Party ,doze off in parliament & expose himself to the daggers & sarcastic barbs of his rivals?How could be he so dumb?Did it happen? The answer to all of this is a big & hilarious – YES!..and it happened while he was sitting right behind the party colleague making an impassioned case against the government! Rahul probably emulated a certain Arvind Kejriwal, that it pays to be in the news,somehow, for good or bad reasons.So he conjured a controversy! This is sacrifice in the best Indian traditions.He sacrificed himself for the Party as otherwise who would notice the 44 seat rump of the INC in a humongous 544 seat Indian Parliament. Mommy Sonia Gandhi, of Italian ascent, had sacrificed the Prime Ministership in return for a zero accountability position as the Puppeteer in the UPA dispensation headed by a mute puppet named Manmohan Singh!!! Rahul Gandhi probably slept to escape the misery of his actual life.In his dreams “impossible is nothing”. He dreamt that his mother had finally allowed him to chase his ambition..of being a gardener in the Parliament lawns…in a dhoti & gamcha and his Venezuelan girlfriend bringing him a spartan meal of chapatis & onion (what else would a gardner eat after the UPA government’s legacy of price rise!). He also found the secret of dealing with his nightmare Arnab Goswami, hidden in jack fruit ! In his dream, uncle Manmohan had a tongue & it was recovered from the deepest vaults of the kingdom of Psycho-fancia, ruled by an evil Queen (any guesses?). Furthermore, uncle Digvijay Singh is seen having a zip lock on his mouth which is configured to open in 9999 AD. But in his dream he still had his bad moments.He dreamt that he was plucked from his gardening pursuits by a Robert Vadra when the latter bought the garden to develop a Pub! Where’s sister Priyanka Gandhi?She was still campaigning in Rae Bareilly & Amethi & exhorting the people to vote out (!) her brother & mother! How did things come to such a pass for the Gandhi scion that from “Shehzada (Crown Prince)” he transformed into “Pappu” – a disrespectful sobriquet used to describe a juvenile & incompetent nincompoop! Even the Amul ad line had earleir captured the euphoria surrounding his elevation to the post of INC Vice President and the possibility of being named as his Party’s Prime Ministerial candidate. Rahul turned out to be a “dud” largely on the back of his bizarre actions.In an effort to connect with the people & their distaste for a controversial government ordnance, Rahul tore the document in a press conference which had been promulgated by his lParty’s PM nominee.This immature behaviour was compounded by his inability to articulate a coherent response to his Party’s defeat in the Delhi Assembly and stressed by his confused choice of words.He gradually lost ground when he refused to take on the BJP & NDA Prime Ministerial candidate,Narendra Modi, in the build up to the elections.As the campaign progressed in comparison to a stuttering Rahul, Modi emerged better prepared,organised & focussed. The final nail in the coffin was the interview with a famous & aggressive TV presenter,Arnab Goswammy,known for unsettling his guests.In the interview Rahul Gandhi failed to present any substantial views and vision for an emerging India.It was as if Rahul knew the questions to be asked…but it seems the interviewer changed the order & Rahul still answered in a prepared sequence! It was an unmitigated disaster and Rahul came out battered & bruised from the his first ever interview in 10 years. (Sometimes it is better to stay quiet and let the world think…we know the rest!! )Whereas Narendra Modi emerged stronger and aggressive from the same bed of burning coal in another interview with Goswamy. For his immaturity,juvenile behaviour & lack of initiation into politics in spite of 10 years in the arena he earned the sobriquet “Pappu” on the social media & his reputation was ripped & tattered mercilessly day in and day out in a net savvy India. The featured Amul Strip is amazing to the last detail as it depictis Parliament benches and a sleeping Rahul Gandhi falling over to his right and in the spot light (denoting live TV coverage) while the Amul Girl attired in a combination symbolic of Indian politicians is making a sincere effort in a debate replete with a clutch of notes and has a bewildered and aghast expression while attempting to wake up the Party leader!!! The Tag Line...Duty Sleep?… is a question asked (almost rebuking) and a catchy spin on the concept of sleep working towards enhancing the beauty and complexion of a person as also a pun intended on the fact that the Gandhi scion was sleeping in Parliament when he should be participating in debates and discharging his responsibilities & duties as a political leader. The Punch Line is simplistic and simply exhorts Rahul Gandhi to wake up literally and figuratively as well as endorses the Amul Butter by exhorting the readers to wake up to its superior taste and quality and to adopt it as brand of choice. As I sign out,Rahul Gandhi has done it again.While responding to a visual of Narendra Modi playing drums (dhol) during his Japan visit.Visiting a parliamentary constituency bereft of electricity and basic facilities he quipped to the media (as if alluding to a burning Rome & Nero) that while the backward constituency languishes, the Prime Minister is busy playing the “dhol”.It would have been a perfect sound byte by an opposition politician but for the small detail that the constituency in question was Amethi – represented by Rahul himself since 2004 (!!! !Time to wake up Pappu!!! )and which has been represented by his father and uncle since the 1980s!So how is Modi guilty????? While this goes to print it is reliably learnt that Congressmen have secretly requisitioned the services of Leonardo di Caprio to carry out Inception in the dreamy and drowsy head of “Pappu” – to convince him to take a solo voyage to the Bermuda Triangle! But has anyone ever made it back from the Bermuda Triangle?????? Previous PostFIFA WORLD CUP 2014:GERMANY AND THE 31 DWARFS !Next PostOSCAR “HOUDINI” PISTORIUS: ON THE BLADES OF INFAMY! Sir you have done it again. Kudos to you and sorry feelings for our poor PAPPU, who, in addition to going through the extremely rough patch in his life and career, has now also to bear the brunt of your satire. May he survive this onslaught. 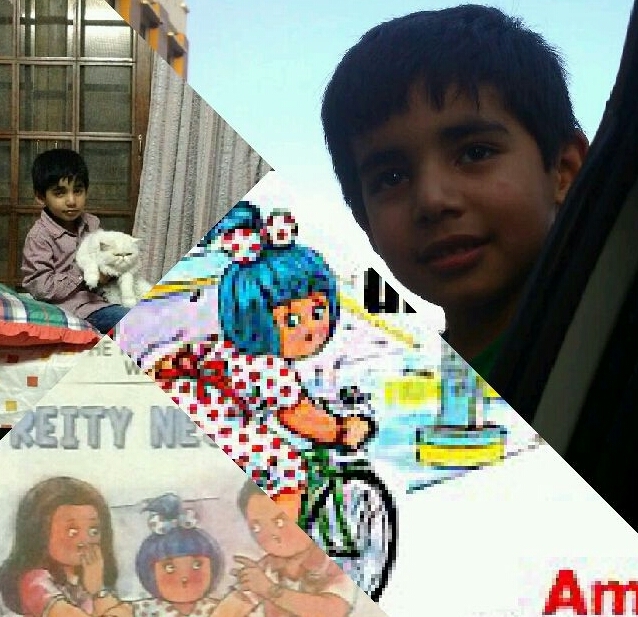 Amul and Anshuman – an utterly ‘deadly’ delicious combination…. God save the Pappus of the world… 😉 go get them, tigers!! Why do you want him and his ilk saved? I think ISRO missed a trick when they didn’t strap him on to the Mars Orbiter which was on a one way trip to nowhere! A small slip up for ISRO but a giant fiasco for India!! Pappu might strive well in the parallel universe…….. Swear to god, your words are too funny Anshumann 👍bon courage ! Thanks Bhuvnesh.These guys are actually hilarious when stripprd off their media hyped images.and like Rahul Gandhi they are mostly dumb.Just that most of them havent been thrust into the limelight like our “Shehzada”, to be exposed for what they truly are. Throughly enjoyed whole article and Anshumann your words are too funny 👍 bon courage ! Agree with you sir.i just hope he doesn’t attempt to reinvent himself as if he fails he will transform into a clown of ungainly proportions. And he and Bilawal Bhutto could then jointly host Comedy Nights sans Borders! 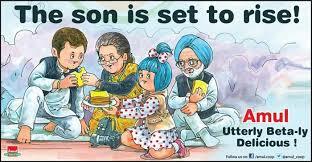 And really…I ain’t that keen to see Pappu make a serious effort to look good.we are better off without him! Really funny sir.. This should definitely find a place on the editorial page of major national newspapers.. Too good sir.. Thanks, but i guess we will have to look for a newspaper on Pluto which is willing to put its reputation on the line by publishing anything about Pappu! What was that song…Pappu can’t dance @#*&%$!!!.?? ?…politics dance huh? Well said. I hope for our sake he realises he has two left feet as far as dancing on the political tune of India is concerned.So he should take a bow asap ! Ha Ha! Better he doesn’t coz -na pair honge na pappu nachega…;-) He should actually realize that he doesn;t have feet only, so better not day dream of dancing…that too in the sanctum sanctorium of politics-the parliament! What we call- “Dancing feet”! Thanks AK.Just hope to keep you interested and invigorated.Keep up with the views and support! Great read…only thing in favour of pappu…is that mercifully he has not started the next line of pappu chain as any addition of venuzalian DNA to the already corrupt genes of pappu…would have resulted in us living in tattered jeans for ever. Wonder if Venezuela will risk letting genes mix? They wouldnt want a Pappu strain on the loose in their cou try , would they? Pappu needs to be on a one way flight to the “middle of nowhere”… so we can be spared the torture! !